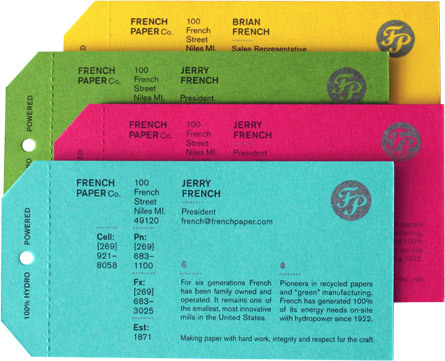 French’s business cards utilize one of their most popular paper lines, Pop-Tone. 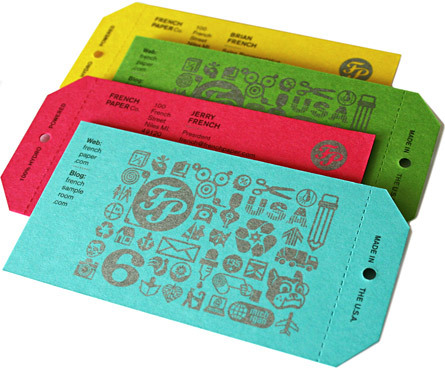 Simple, uncluttered information is presented on one side, with a grid of relevant iconography on the back. 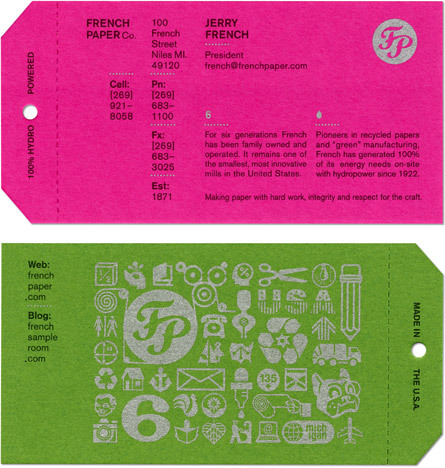 Cut to resemble hang-tags, these heavyweight cards also nod to the great packaging potential of French’s papers.